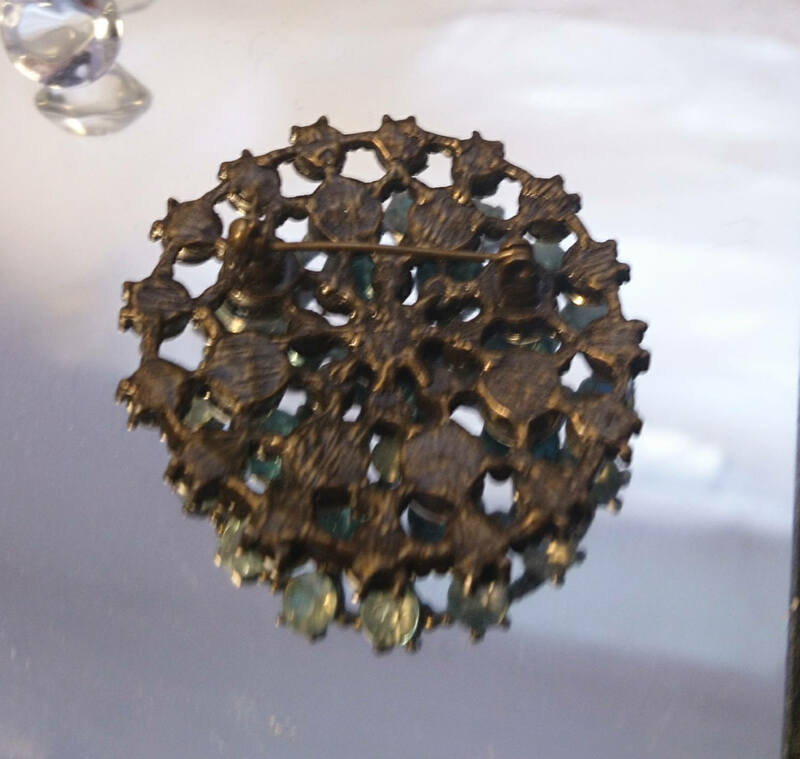 A beautiful art deco paste stone brooch in a bronze tone brass metal setting. 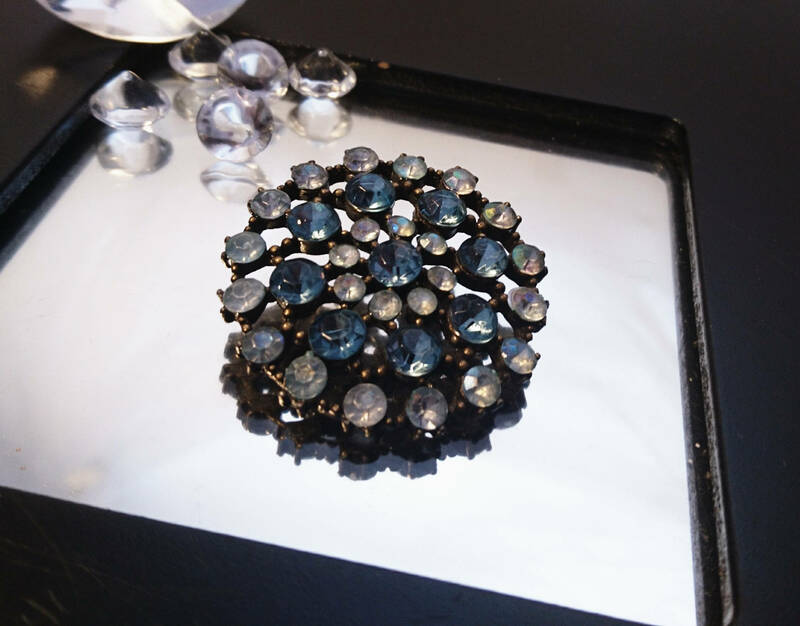 Lovely bright paste stones in clear / white and a lovely ice blue. 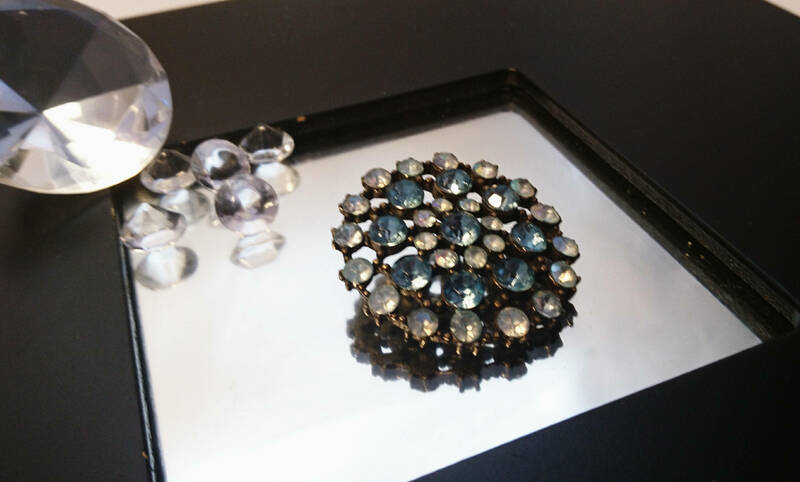 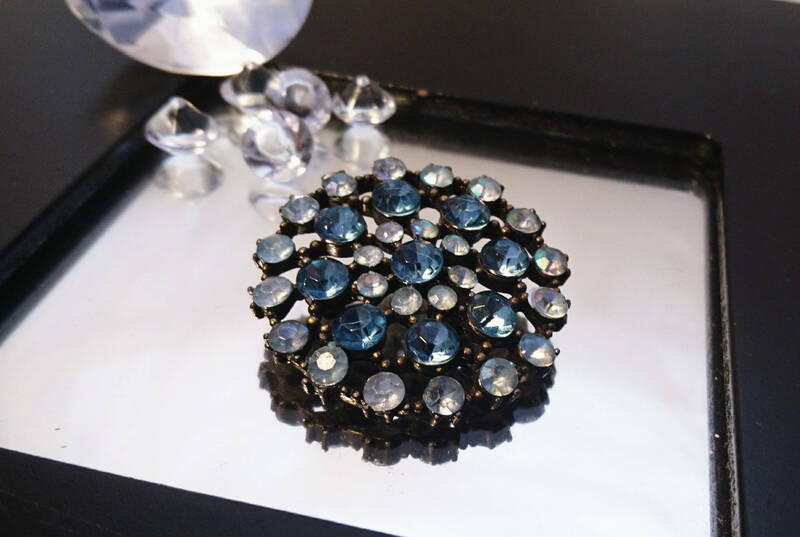 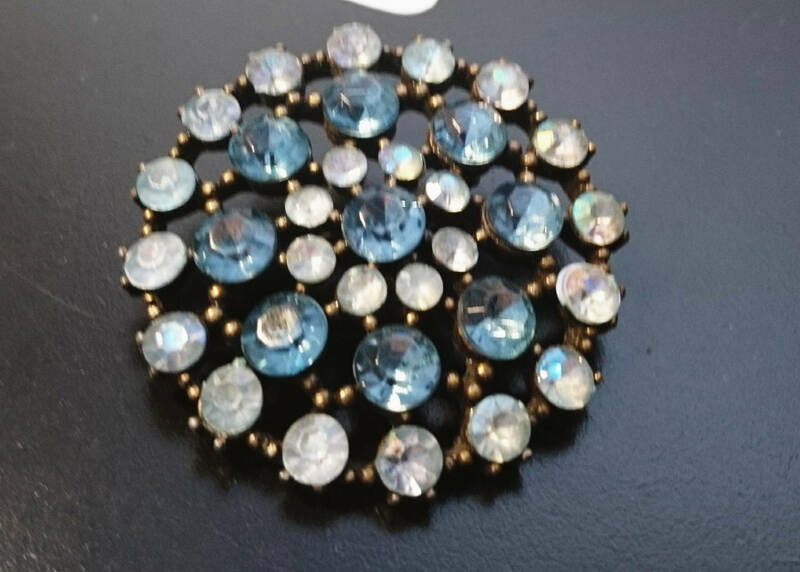 Made in England in the 20's this lovely brooch is elegant and decadent and in brilliant vintage condition with the original fastenings and no missing stones.